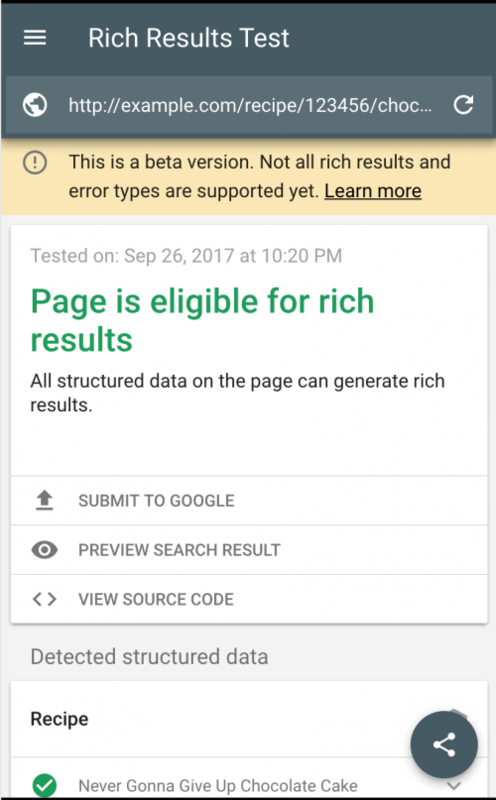 Google has launched a catch-all tool for testing rich snippets, rich cards, and other “rich” additions to a website’s content. Google has coined the phrase “rich results” to refer to all of these that mean its new tool is called the “rich results testing tool”. This new version allows you to test all data sources on your pages, including the recommended JSON-LD, Microdata or RDFa. At present, the rich results testing tool by Google is able to test the following types of structured data that consist of recipes, jobs, movies, and courses.